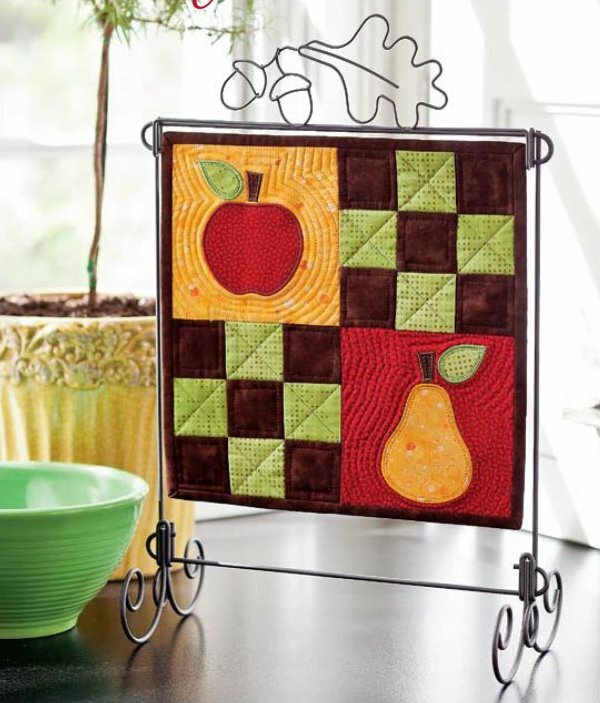 Included in the collection are separate files for the apple and the pear and two other files for creating the round mug mats/hot pads. The machine will stitch the outline/finished edge of the mats for ease in cutting the finished shape. Apple: approximately 3.5 x 4.25"
Pear: approximately 3.25 x 5"